Incorporates a number of substantive topics, including a new chapter on women's health, as well as opportunities for the reader to critically examine key conceptual and methodological issues within each chapter. Coronary heart disease (CHD) is arguably the the UK's biggest killer. CHD develops when the blood supply to the muscles and tissues of the heart becomes obstructed by the build-up of fatty materials inside the walls of the coronary arteries. Your heart is a pump the size of a fist that sends oxygen-rich blood around your body. The blood travels to the organs of your body through blood vessels known as arteries, and returns to the heart through veins. 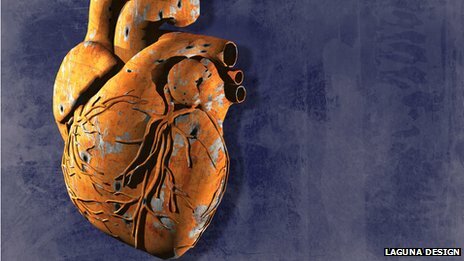 BBC Science : What causes coronary heart disease? Risking it - What are the risk factors for Heart Disease? Use the interactive calculator below to determine your 10-year risk of developing heart disease. Your 10-year risk factor will appear in the box next to the in the grid.